The Hangin’ Tree Cowdog breed was developed by Gary Erickson. 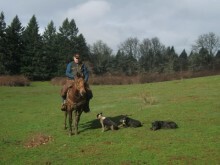 His goal was to develop a working dog that ranchers could effectively use in the field for handling cattle. 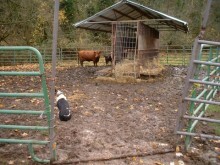 Cowdogs are breed for their endurance and stamina to work hard all day long. 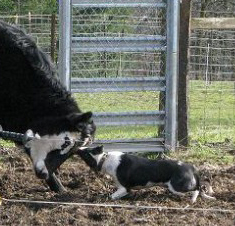 A fully trained dog has enough bite and natural herding ability to move cattle where ever you want them. Mr. Ericson has bred Hangin’ Tree Cowdogs for over 20 years. 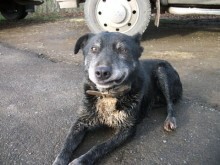 They are a mixture Border Collie, Kelpie, and Catahoula Leopard, and Australian Shepard. The result in a medium sized dog with a heavy bone structure to meet the physical demands of working cattle. They come in a variety of colors including solid black, reds, merles and a mix of these colors. Their short coats shed dirt and burs easily, help withstand heat, and require little maintenance. Tails are docked at birth. 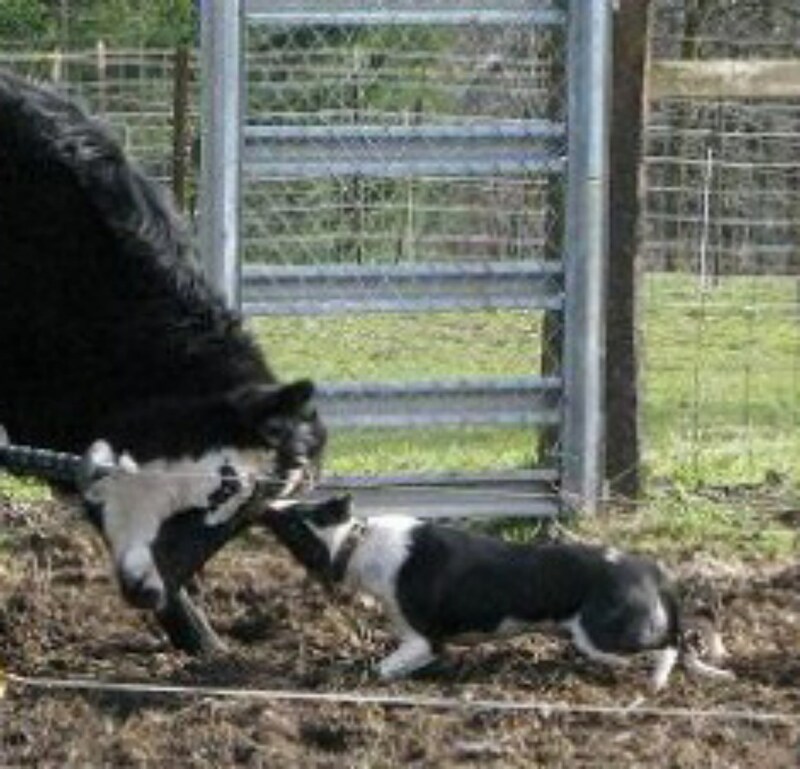 Hangin’ Tree Cowdogs have an innate herding instinct from birth. This agile breed of dog is easy to train and is a loyal companion. 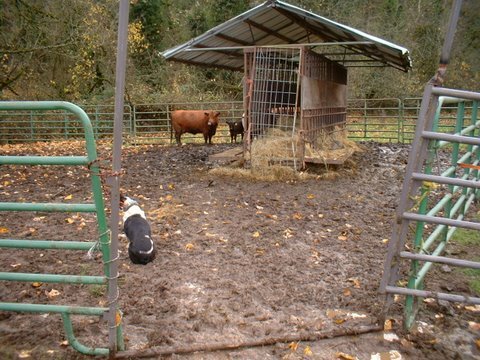 With proper training, these dogs exhibit the ability to track and find cattle, herd them with precise control, and move the cattle where desired. They naturally want to bring the cattle to you.